It’s been forever since I typed these three words, ‘Hot Wheels Elite’. 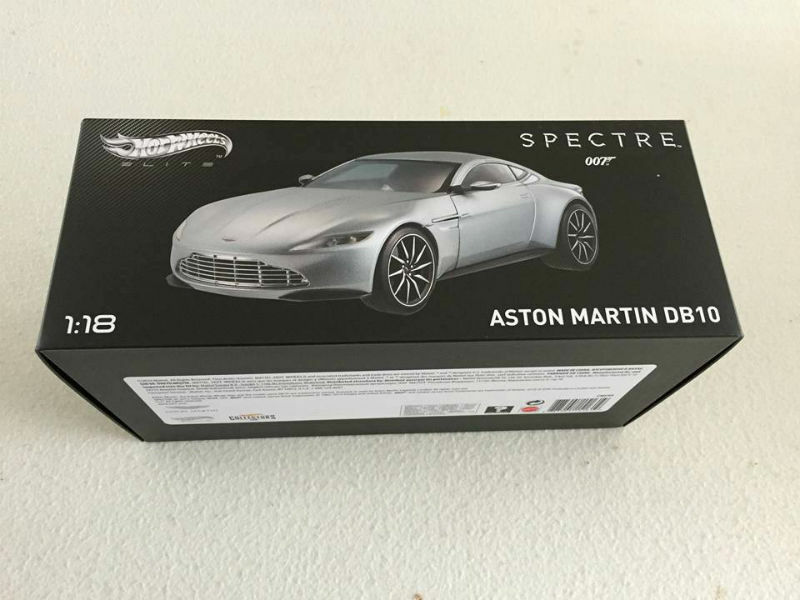 Yes folks, the wait is over, the Hot Wheels Elite 1:18 Aston Martin DB10 is finally making it to market. 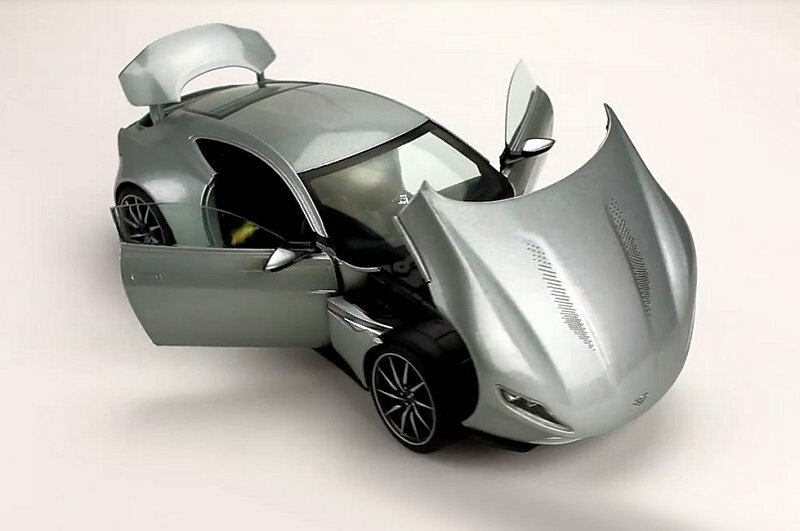 The car is replicated as featured in the James Bond series, a one-off epic from Aston Martin. Metal and opening parts are common place here. Initial images showed a massive panel gap where hood met doors. This sample seems more precise, maybe a true production piece. Official date release is scheduled for July. Rumors of a 199 Euro retail seem high, that equates to roughly $235CND. A far cry from the $125 price point of their last Ferrari pieces. Nice to see you back Hot Wheels Elite! 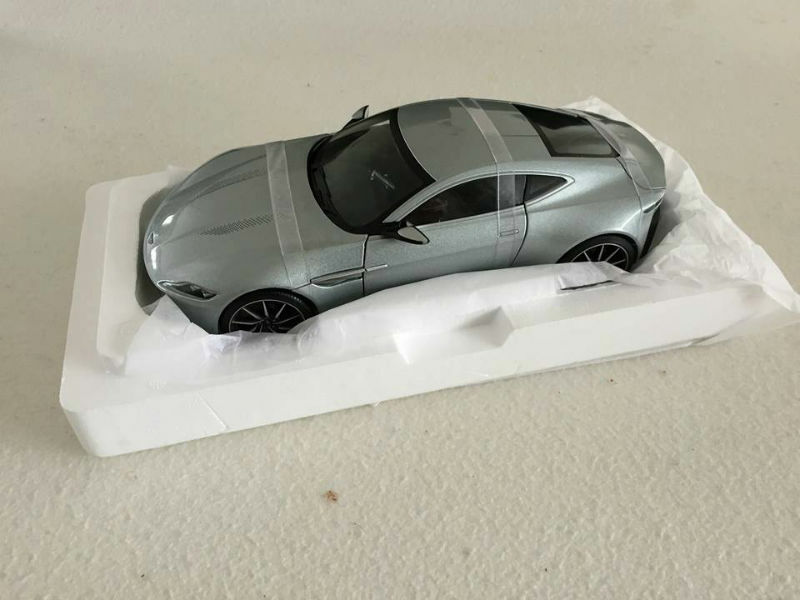 14 Responses to "Hot Wheels Elite New Aston Martin DB10"
Damn! This is a must buy for me, but that price is really off putting. 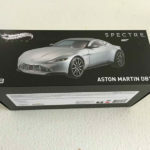 I really like this car, I hope somebody makes one in 1:43. Maybe that price includes royalties to the movie company? Like Sac said, let’s wait for your review. If it’s favorable, make mine the street version without the James Bond royalties. There will be no street version. 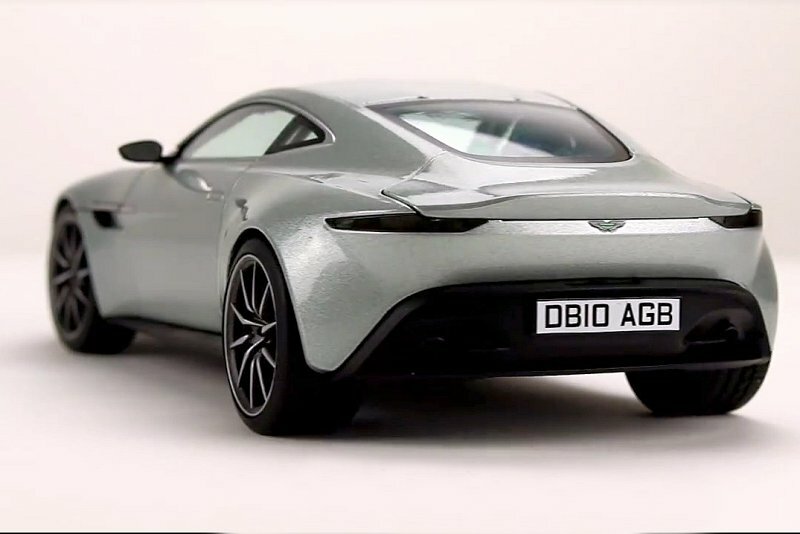 The DB10 was specifically made for the movie. 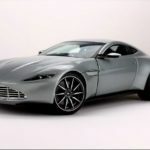 The DB11 is the next/current production car for AM and it’s a different car. Of course you are right! 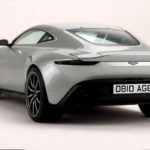 Aston Martin uses odd numbers for its regular production DB series. OTOH…wasn’t the first Bond car a heavily modified DB5? 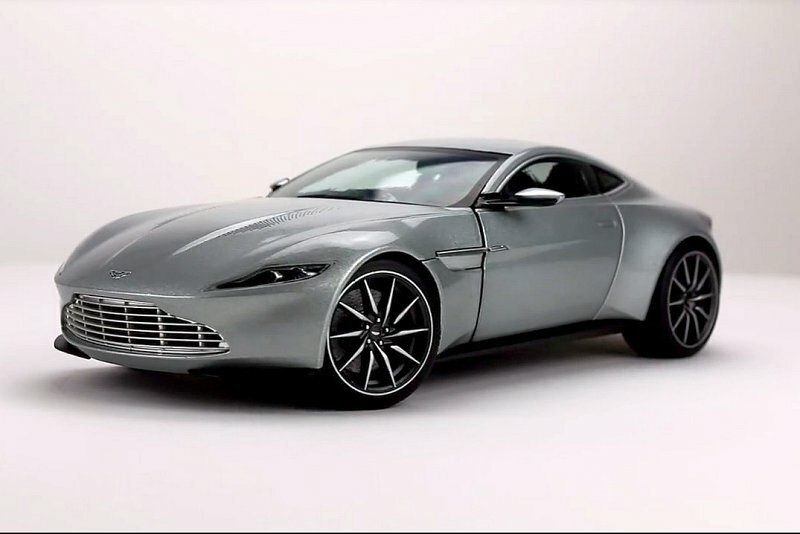 Other than the doodads added to the movie car, how much difference is there between the DB10 and the regular production DB11? 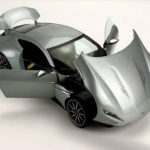 This car’s just a modified V8 Vantage with a different shell and interior, plus it rocks a 6MT. I believe the DB11 only has a 7 speed auto as with newer GTs/sports cars and it’s bigger than a DB9. However, now that I thought about it, this is Hotwheels we’re talking about. I wouldn’t be surprised if they start churning out fantasy colors for this car. I don’t think they’d waste a mold for one color. Definitely not up to the good old Elite standards. I’ll pass! Can’t tell the quality from these pictures yet, but I hope it turned out to be good and als not the 199 euro rumor price. Didn’t they drop the line in late 2015? If they’re coming back, I want the promised super elite 1:18 Back to the Future Delorean. I was pretty pissed with their half-assed job on the regular elite (wheels don’t fold into flight mode) and was going to sell it when the special edition came out. I definitely look forward to owning this. 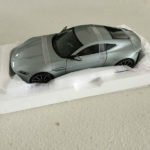 Once again, it’s too bad that HWE, when they had the chance didn’t give us the Aston Martin V8 from “The Living Daylights” nor the BMW 750iL from “Tomorrow Never Dies” in 1/18. Those are 2 007-laden cars that still have yet to be made in 1/18. Heck, it’s also a shame HWE didn’t plan on doing Mr. Hinx’s orange Jaguar C-X75 too. As for the DB5, I was disappointed with the layout of that one. The Autoart Version still reigns supreme by my standards. The only downside to the AA version is the Tailight pattern is all wrong.